Does your student need some training support? Is your student finding it difficult to meet with you? Are they having problems with bus fare or child-care costs? The Literacy Nipissing may be able to help. The purpose of Training Support is to help low income learners gain access to the Literacy and Basic Skills (LBS) Program. Training Support assists these learners with transportation and child-care costs. 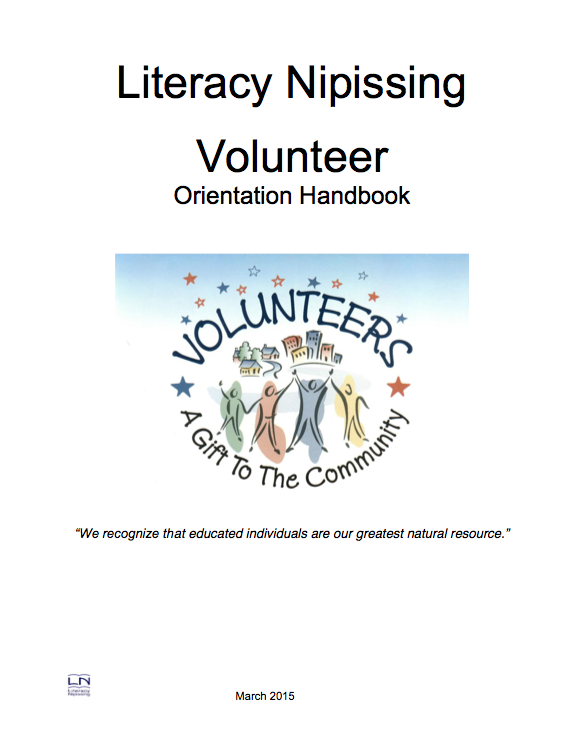 Funding is provided only to those who would not be able to participate in the Literacy Nipissing LBS Program without such support. If you feel your student could benefit from this Training Support, please encourage them to call or come into the office and talk to our Executive Director or Program Coordinator. Training plans help focus the student on their goals. Our Program Coordinator is available to help create or revise your student’s training plan. To assist this process, please contact the office to arrange a mutually convenient time for you, your student and our PC to meet. The meeting should take approximately 45 mins. Please contact our office to make your appointment. Do You Need Some New Ideas? Have they read a book and enjoyed it? Journal writing – for the first 15 minutes of the lesson suggest they write down their thoughts in a journal. This encourages the translation from thought to paper. Come and visit our office where there is a fantastic library of books to use and borrow.